Lightwave groundsheets are designed to fit in the porch of our xt tent models. They are made of 90 denier taffeta nylon and have a 3000 mm polyurethane coating. 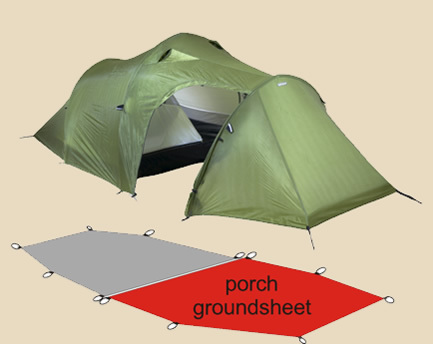 This groundsheet fits the porch of the t10 trek xt.